Treat yourself to complete ergonomic adjustability even including a fully adjustable elastic mesh head/neck rest. 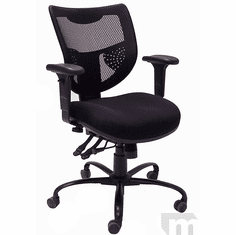 Top quality, heavy-duty components enable us to offer this chair a guarantee for 24/7 applications and users up to 400 lbs.! This unique design for a 24-hour chair features the finest quality elastic mesh backrest for excellent breathability and comfort. An extra thick contoured seat pad makes use of both high density foam sub layers for form and top foam layers of low density foam for a softer surface feel. Seats are upholstered in an attractive yet durable air mesh material that also helps to prevent heat build up on seating area. 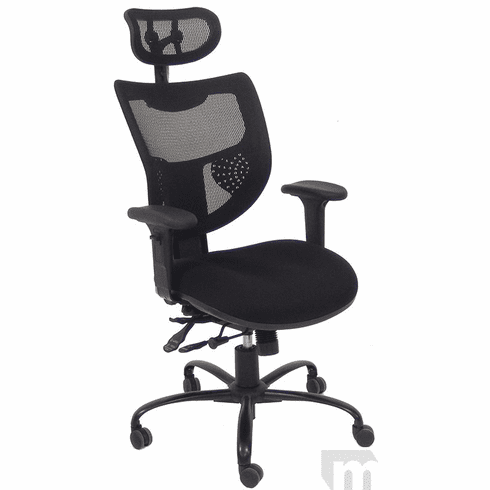 Complete adjustability in this intensive use workhorse chair allows incredible custom configurations to fit the mid-sized user to the tall or heavy user. 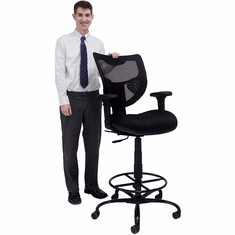 Great for businesses who require around-the-clock staffing such as hospitals, police stations or emergency call centers - or, the business just wanting top quality, trouble-free seating. The customized approach to this premium chair includes independent back tilt, ratchet back height adjustment, independent seat tilt, ability to tilt or lock in any angle position, forward tilt function and seat forward/aft slide to adjust to a variety of shapes and sizes. Extra tough padded polyurethane armrests are comfortable and flexible with both height and width adjustability. The completely adjustable elastic mesh headrest not only completes the polished look of this chair, but also provides excellent head and neck support! Headrest adjusts in height, overall angle and pivot of headrest. Compare any chair to the long list of features below, plus 400 pounds weight capacity and 24/7 user warranty! * Ratchet backrest height adjustment. * Independent seat and back adjustment. 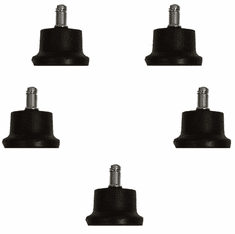 * Tilt tension adjusts easily for different weight users. * Adjustable height and width arms with tough polyurethane arm pads. * Breathable elastic mesh backrest and air mesh fabric. * Completely adjustable elastic mesh headrest. 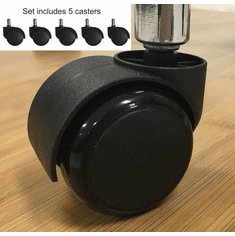 * Oversized, heavy-duty casters for easy mobility. See soft casters for hard floors below. Seat cushion measures 20-1/2"W x 20"D x 18-1/2" - 21-1/2"H. Back is 19-1/2"W x 19"-22"H. Measures 25"-28"W x 25"D x 48" - 51-1/2"H top top of backrest overall. Adjustable headrest adds 8-9" of height. Shpg. wt. 63 lbs. Meets CA fire foam approval. 5-Year Limited Warranty. PRICE INCLUDES SHIPPING! IN STOCK!